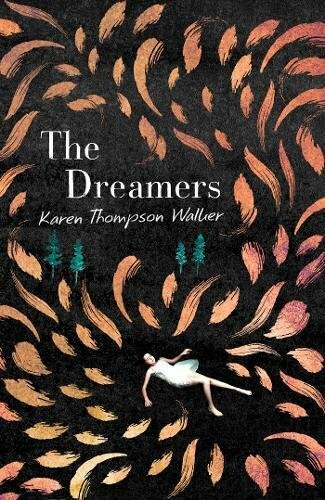 The Dreamers is surreal novel about how little we understand of our minds, especially our dreaming selves. What is the difference between what is real and what is dreamt when we can feel and experience things so clearly in dreams? It all begins when one college girl, in a small town in California, falls into a sleep from which no one can wake her. Slowly, over time, more and more people fall sick, drifting into sleep at times and places that leave them undiscovered, in danger, or eventually found and hooked up to drips and feeding tubes while people wait and hope for them to wake up. I’m glad there is a quotation from Saramago’s Blindness at the start of the novel because there is a connection between the two stories. The shared paranoia, the horror that people feel when their predictable daily lives no longer unfold in ways they expect. They also share that exploration of morality, of how you chose to save some people over others. We follow a series of different people and families as they each undergo different experiences of the sickness. There is a young family with a baby whose donated breast milk was contaminated. There are two motherless girls whose father, a paranoid man well prepared for the apocalypse, leaves them with a cellar filled with food to last just such a crisis. A college professor who wishes he could have his husband back from the nursing home. A young student who falls in love with a man determined to see the world through a clear moral lens that chooses the good of the many, the good of the young over the good of the one or the old. There is some comfort in this morality but not for the college girl herself. There is a psychologist who is caught in quarantine, miles away from her little girl who hardly recognises her when she finally comes home. And there is another college girl whose brief sexual abandon, born of the fear of the sickness, grows into a child. The strange thing about the dreamers is their rapid eye movement and, if and when they wake, the clarity of their dreams. These dreams distort the waking world’s understanding of time and shape their futures in unpredictable ways. Some say they have seen the future. Some claim to have relived the past. Others still feel they have lived whole lives while the rest of the world watched them sleep. Who is to say what we believe to be real now is not in fact the dream? It’s an interesting novel. Compelling and provocative. I didn’t love it though and I’m not really sure why. I think it has something to do with a sense of distance that I feel between myself and the characters. The curtain that folds over my dreaming self, that I push through to the cold light of day, seems to close over my connection to the characters as if I’m emotionally kept from them, observing them like a clinician as they doze their days away. 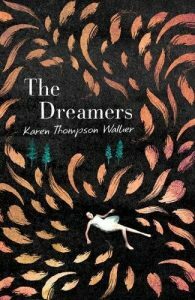 I don’t think everyone will feel this, or if they do it may enhance their connection to the world of the novel, and I’m certain The Dreamers is a book many will love. Next week I’ll be reading The Doll Factory by Elizabeth Macneal.